In this mini-post, we will deploy an application/project containing a simple GWT module on external server JBOSS. 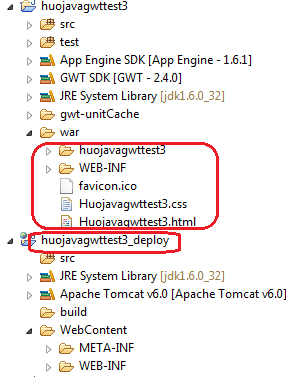 deploy/huojavagwttest3/WEB-INF: contains the web.xml file describing the server side of the application including the name of servlets that are loaded. 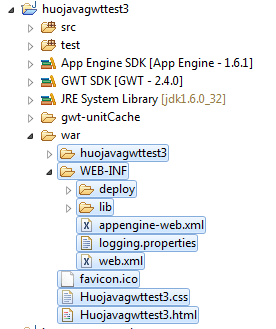 deploy/huojavagwttest/WEB-INF/lib: contains the java libraries that are used by the project (GWT librarires). 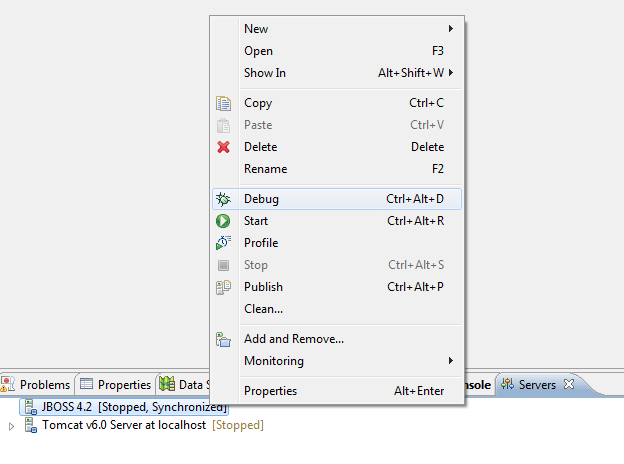 …so deploy is the root directory of our deployments. 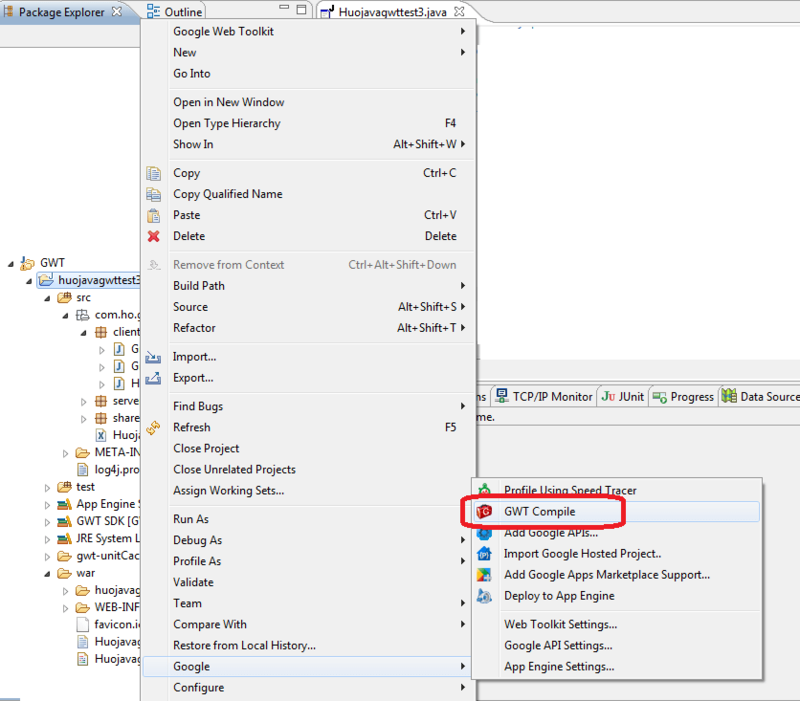 Create an Eclipse project deployment type “Dynamic Web Project” named huojavagwttest3_deploy. 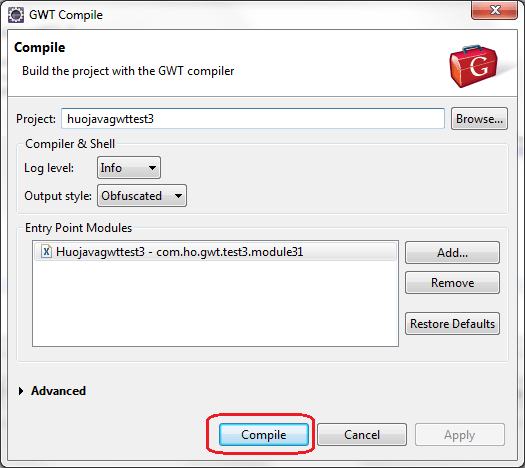 This project name is different from the project containing the code GWT. 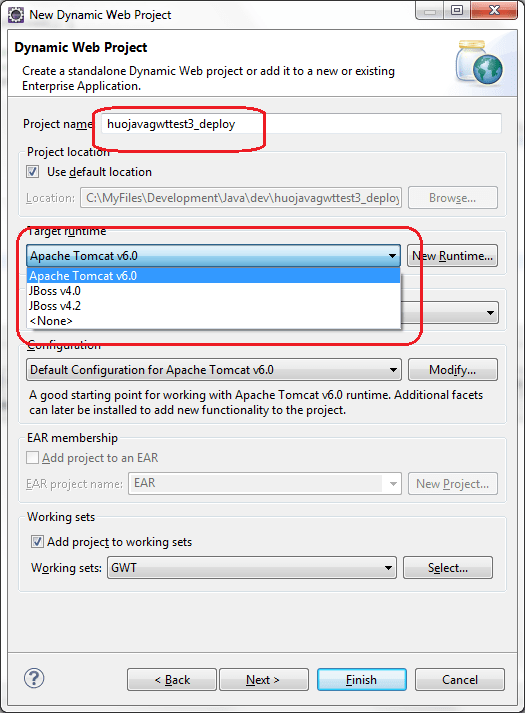 Select Target Runtime Jboss 4.2 (Apache Tomcat 6.0, Jboss 4.0). 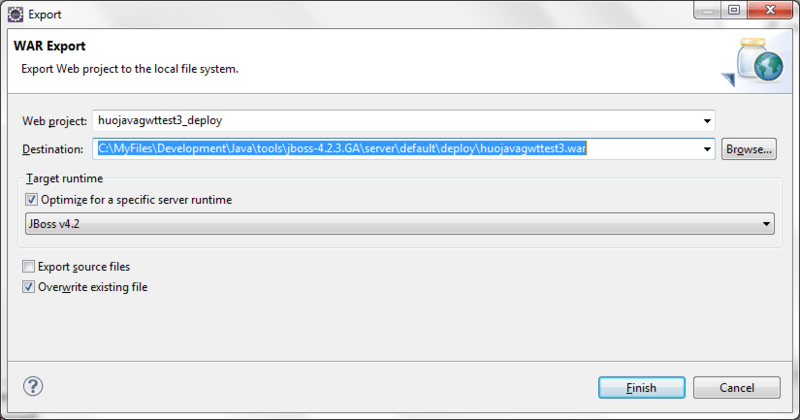 The Eclipse project huojavagwttest3_deploy has been created. 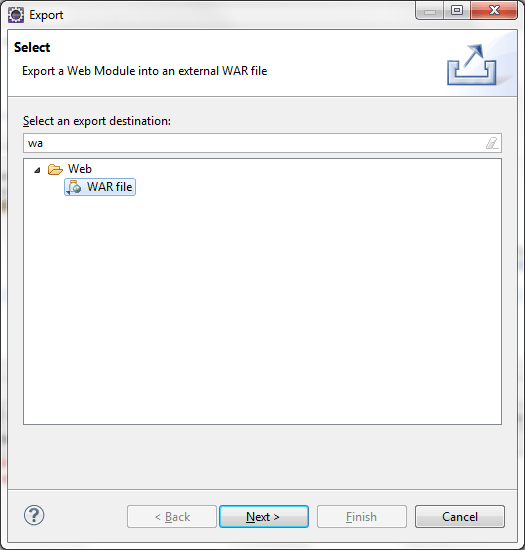 Mode packaged: Deployment of a web application / GWT with Eclipse into WAR. great help, saves several hours.